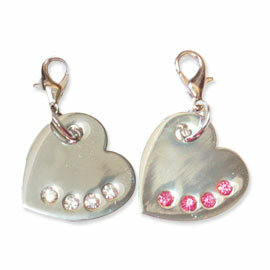 Heart shaped charm with four large bling bling rhinestones and easy to use lobster ring. Charm measures about one inch across. Each order consist a pack of five charms.